This activity will last approximately 4 hours. One day only! 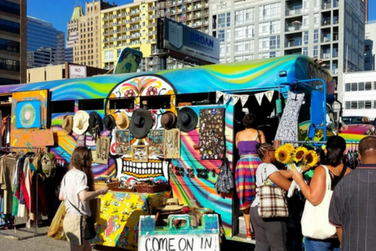 Gogo’s Fashion Bus is a highly curated and complex creature hellbent on enhancing the style scene in Baltimore and beyond. Discover vintage and gently used fashion items in a funky bus that’s an art experience in itself. 16 hours 49 min ago.